Creativity is such an important quality, yet it is something that is often overlooked by society. How many people, even today, are encouraged to pursue artistic jobs over more ‘academic’ ones? Most of us are encouraged to pursue academic careers, for varying reasons. That is not to say that non-artistic careers are not creative, because every job requires us to come up with different ideas, plans and solutions to work out the current task in hand. With that being said, in this post I want to reinforce the importance of enabling ourselves to unleash our inner creativity into tasks that are non-related to our academic or career-related work. I find that when I allow my mind to wander off to different activities, and hence different thoughts, I open my mind up to a whole new level of different ideas. 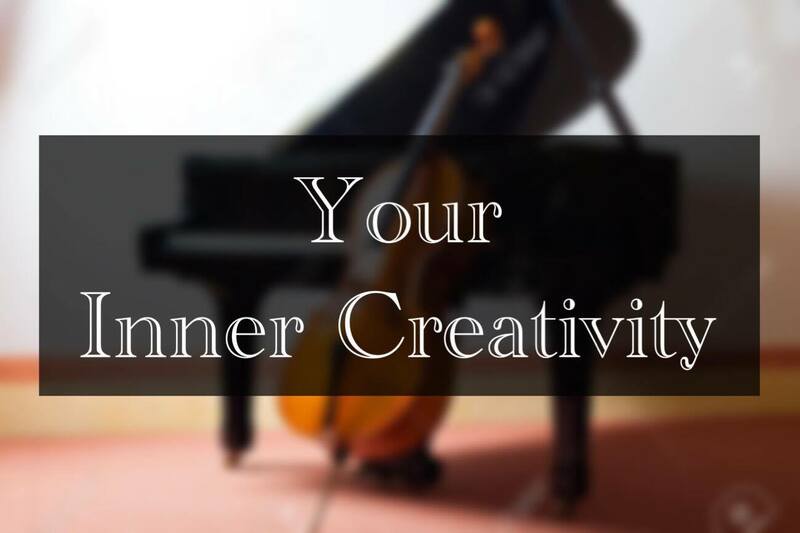 Whenever you have negative thoughts, troubled emotions, or are simply burning with the urge to be creative without the academic or career pressure hanging onto your back, creativity is your outlet. I turn to creativity whenever I feel mentally and/or emotionally stuck, or whenever I feel like my mind is burning with thoughts. The creative tasks that I involve myself in are usually those that I choose – and hence those that I actually enjoy doing for the pleasure of it – and they can often turn out to be therapeutic. 1. Writing and blogging. This is my main creative outlet. I started writing by hand, but soon turned to typing, as I quickly loved the idea of having a blog. I have used WordPress to create various public blogs, as well as private ones (to write as diaries). This is currently the only blog I write on, where I’m constantly pushing myself to come up with new post ideas, as well as trying to narrow down my blogging interests. Additionally, I also have a bullet journal, a self-customized organization system. I use this to write down my goals, tasks, to-do lists and ideas on paper. Though typing is clearly more convenient, in terms of speed and convenience, for me, writing in paper has triggered me to be more self-aware of how I organize everything. I find that the idea of having complete control over how I organize my journal very appealing. 2. Cello. Though I was not always a fan of classical music nor playing an instrument, it is something that I find thoroughly enriching. I consider music a combination of academic and creative activities, as you can’t make music with either missing. I don’t compose music, so I’m not exactly creating music, but I am playing the pieces in the way that I decide to interpret them. I love the challenge that goes behind the mechanics of music, and it’s gratifying to just play – an intrinsic skill that can never be taken away from me. 3. Ballet. I’m specifically talking about ballet, and not dancing in general, here because it is the only form of dance that I’m comfortable with up to now. Like classical music, ballet is rooted back to centuries ago, and all its techniques and moves have their own history from France and Russia. The delicacy and precision of this dance is what sets the bar so high, particularly for someone like me, who has just started it. Though I’m only taking ballet classes and learning the moves that I am taught, using my mind to both memorize the French terminology for the moves and positions and put them into physical action requires 100% of my concentration that I can almost never put into any activity. I practically lose myself in the dance, and there’s no better feeling in the world other than walking out of class feeling lighter than when you went in. 1. Art. Drawing, doodling, making DIY’s, you name it. Inspiration surrounds you everywhere – your job is to materialize them with a pen and paper. And you don’t even really have to get out of your house to find inspiration. 2. Photography. Whether you’re at home or outside, everything is a moment to capture. Just by grabbing your phone or camera you can immediately capture a moment, create a story, or make anything you want out of it. The activities that I have mentioned so far involve getting active, and they may be the last thing that you want to do when you have had a hard day. So a simpler way to come up with creative outlet ideas can be to just do something different. Make a picnic. Have a Harry Potter marathon. Play board games with your geeky friends. Go on a hike.